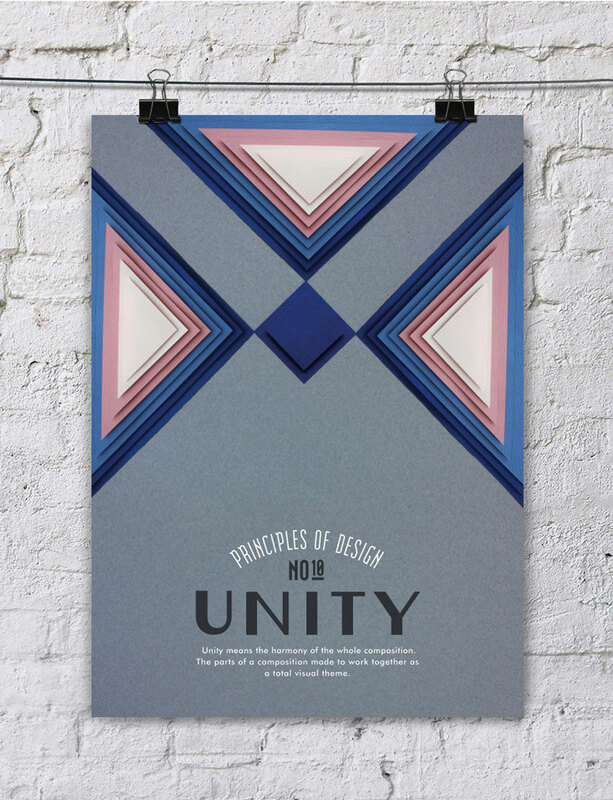 This series of paper art poster designs by Efil Türk covers 10 design principles that are core to any designer's success. 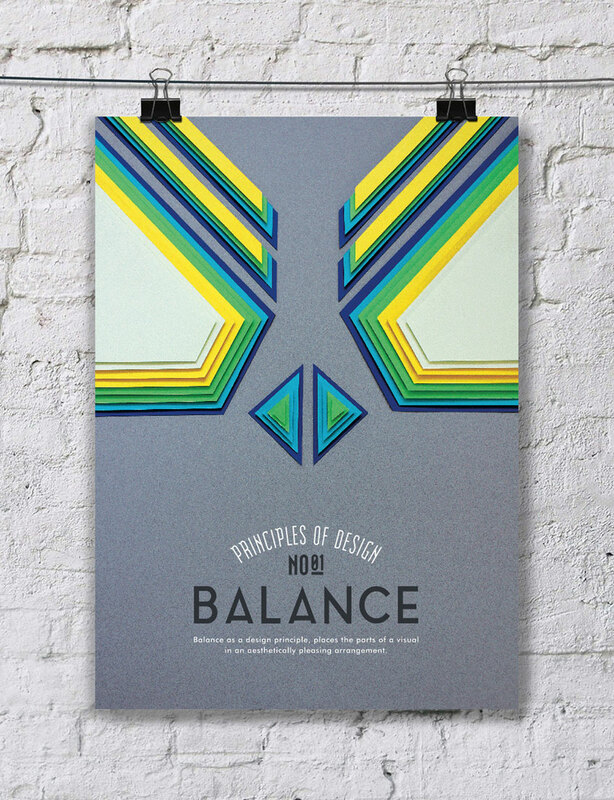 "Balance as a design principle, places the parts of a visual in an aesthetically pleasing arrangement." 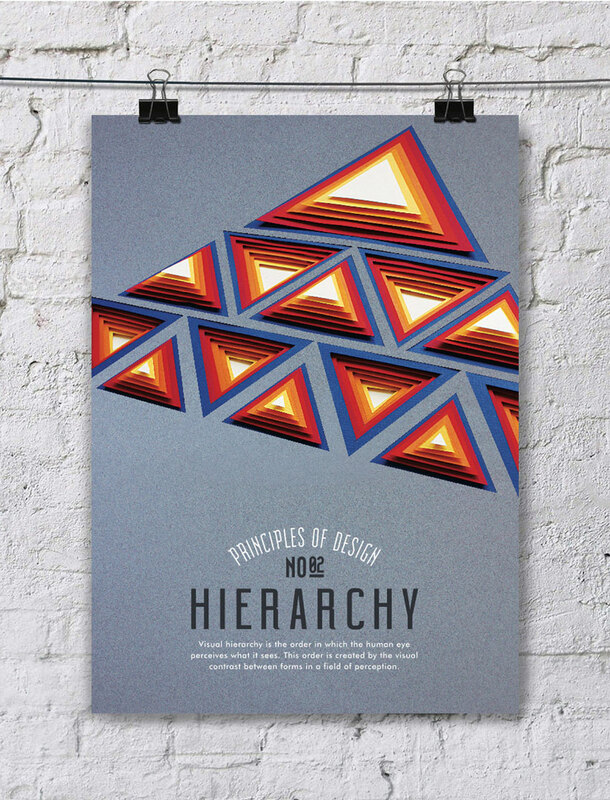 "Visual hierarchy is the order in which the human eye perceives what it sees. This order is created by the visual contrast between forms in a field of perception." 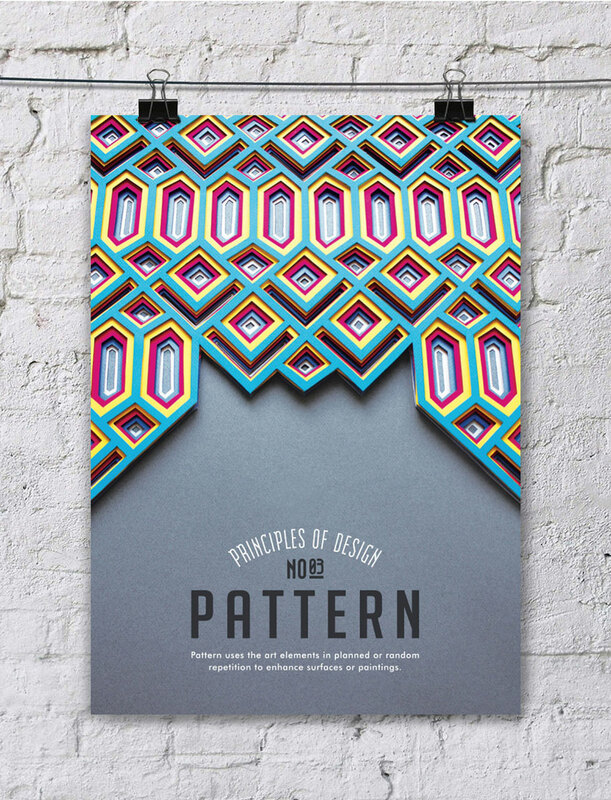 "Pattern uses the art elements in planned or random repetition to enhance surfaces or paintings." 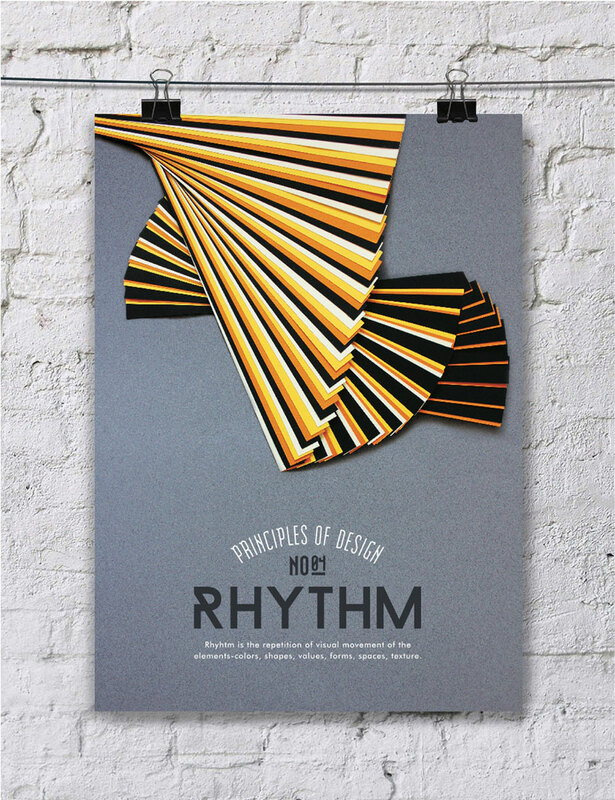 "Rhythm is the repetition of visual movement of the elements-colors, shapes, values, forms, spaces, texture." "Space is an empty place or surface in or around a work of art. 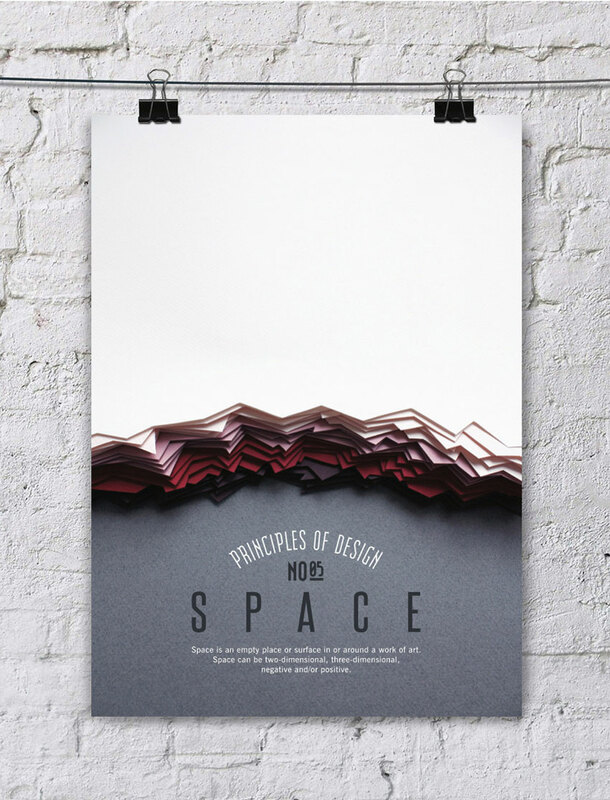 Space can be two-dimensional, three-dimensional, negative and/or positive." 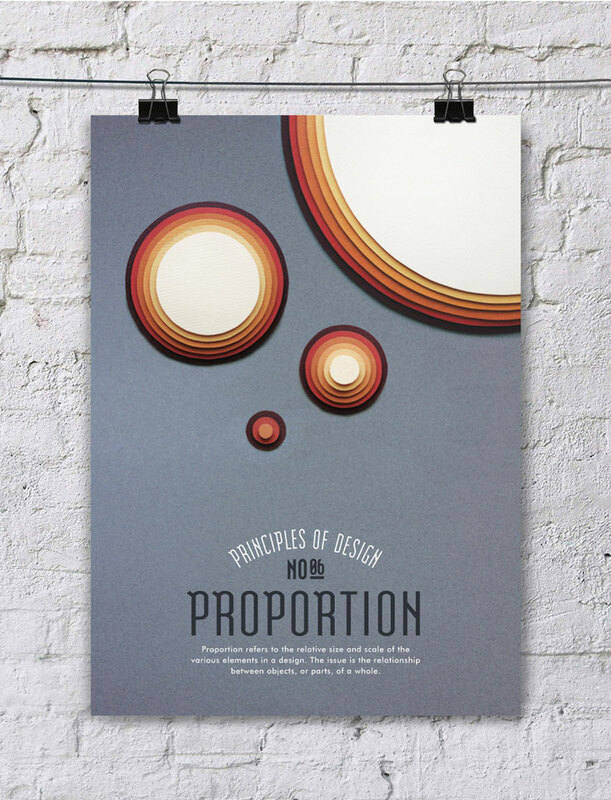 "Proportion refers to the relative size and scale of the various elements in a design. The issue is the relationship between objects, or parts, of a whole." 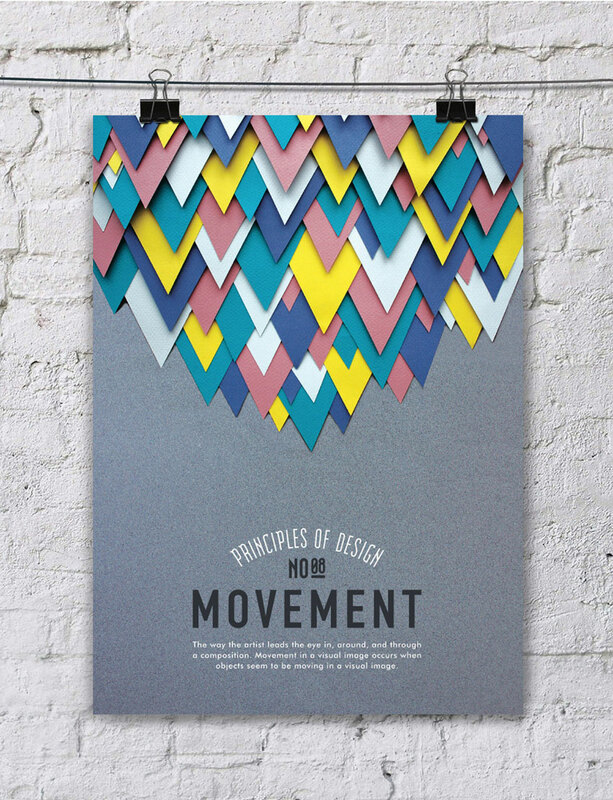 "It creates a focal point in a design; it is how we bring attention to what is most important." "The way the artist leads the eye in, around, and through a composition. Movement in a visual image occurs when objects seem to be moving in a visual image." 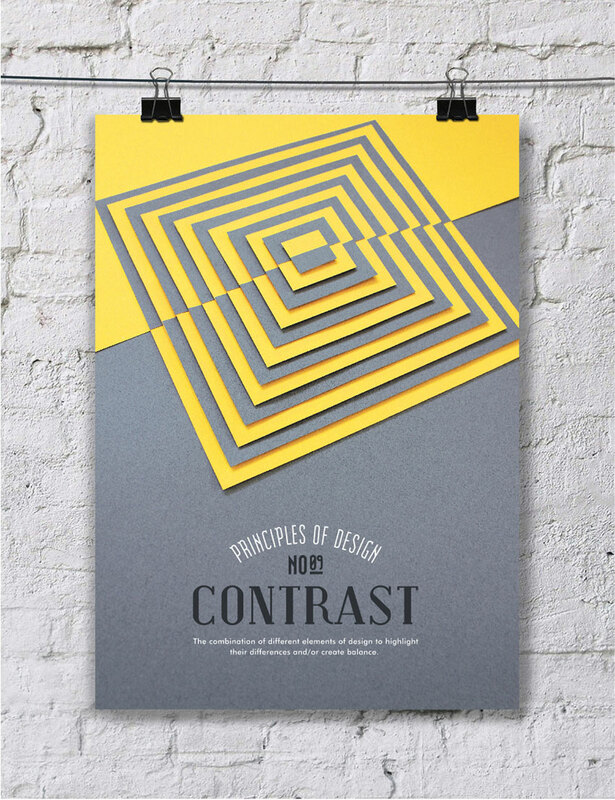 "The combination of different elements of design to highlight their differences and/or create balance." "Unity means the harmony of the whole composition. The parts of a composition made to work together as a total visual theme." 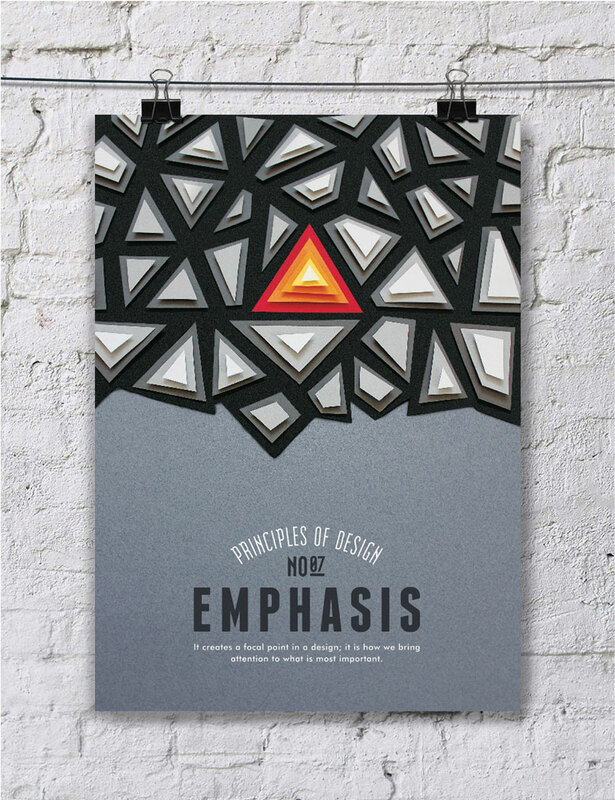 The conscious application of some or all of these principles to achieve a certain goal is what makes a good designer great. Which of these principles do you struggle with the most? Let us know in the comments.